Manchester United have conceded more goals in their 14 English Premier League matches this season than the top three clubs combined, writes GARY LEMKE. It’s a damning statistic for United, who have to get through December before Jose Mourinho – if he’s still manager – can go into the market and shop for a defender or two in the January transfer window. Another two goals at Southampton at the weekend took United’s goals conceded to 23, while they have scored only 22. In fact, they have leaked more goals than any team in the top 15, or put another way, only five clubs – Cardiff City, Huddersfield, Southampton, Burnley and Fulham – have worse defensive returns, and given that the brilliant David de Gea is United’s goalkeeper, it shows where their problems lie. 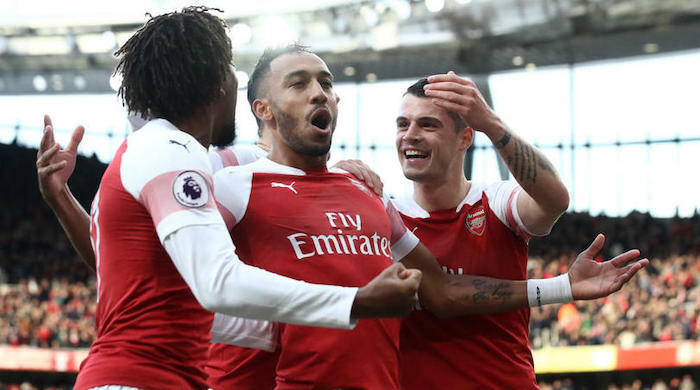 It may get worse before it gets better, because Arsenal, so impressive in their 4-2 victory over Tottenham on Sunday, come to Old Trafford on Wednesday night. Only Manchester City have scored more goals than the Gunners this season, so there will be plenty who will pick, based on what we’ve seen so far, a clinical approach and go for Arsenal to win on Superbru. I got six out of 10 in the last round, but was undone yet again by an inability to get exact scores and therefore I’m bobbing up and down on the leaderboards like a cork in the ocean, barely staying afloat. Despite United’s woes I’ve gone for them to scrape out a draw, if only for the illogical reasoning that I can’t see how they can continue to be so defensively abject. The online bookies actually have United as 14-10 favourites, with the draw at 5-2 and Arsenal at 2-1 to win away from home. Liverpool clung on to Man City’s coattails with a freakish winner deep into added time against Everton, and they’ll look to continue to put pressure on Pep Guardiola’s men when they travel to a Burnley side who are suddenly in serious trouble. As are Fulham, who are rock bottom after losing at Chelsea. They host Leicester knowing that a trip to Old Trafford awaits them at the weekend. They will also be mindful of the fact that few sides who sit bottom at Christmas avoid relegation, and new manager Claudio Ranieri’s most pressing task is to stop his team conceding soft goals, which also cost them at Chelsea. As you see with the below predictions, the toughest part about Man City’s games is predicting how many goals they will score. They should continue their merry way at Watford, and on Saturday they travel to Chelsea and that match is a mouth-watering prospect because, surely, someone is going to give them a run for their money and Stamford Bridge might be that time and place. Mark Hughes, as I wrote in the last column, was the next manager for the exit door and he got sacked from Southampton when drawing 2-2 with Man United, although that would have felt like a defeat after going 2-0 up. It doesn’t get any easier for Southampton who go to Wembley to take on Spurs, for whom Harry Kane has found his scoring boots. There is consensus about three of the 10 matches in the panel. They are: Manchester City to beat Watford, Liverpool to beat Burnley and Tottenham to beat Southampton.